As much as my kids love choosing their favorite fruits and vegetables for their morning smoothies, sometimes my Chloe just needs her chocolate fix! Who can blame her?! 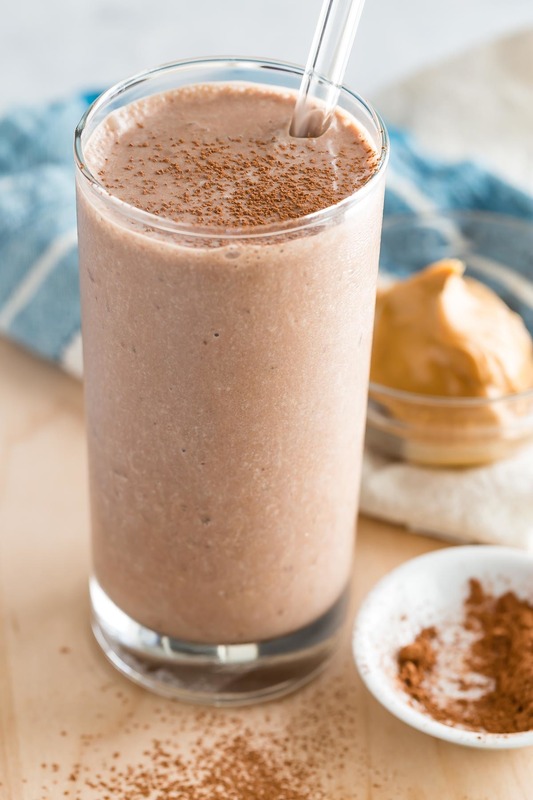 The combination of chocolate and peanut butter is classic, and this smoothie is like drinking a healthy peanut butter cup - it is that good! Throw all the ingredients into your favorite blender, and enjoy this chocolate treat. It's like having dessert for breakfast! 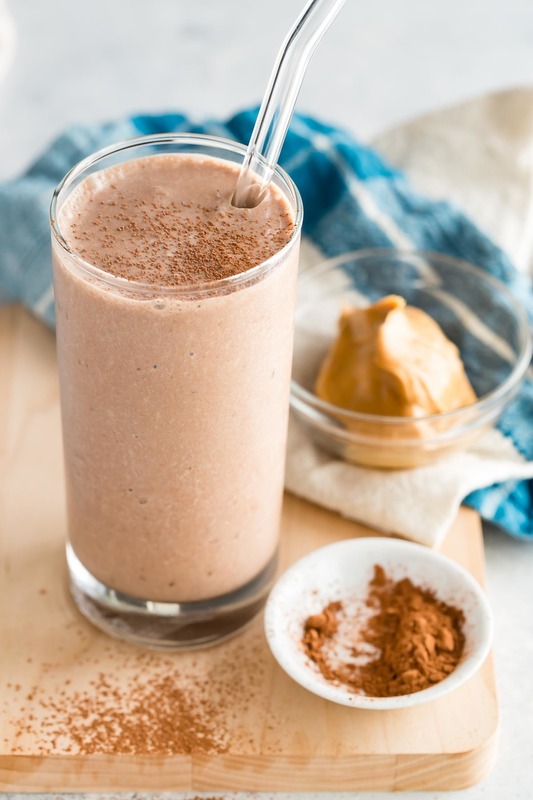 No guilt here, with the natural sweetness of dates plus the nutrition benefits of kefir and hemp seeds, this chocolate peanut butter smoothie will help you start your day right, in the most delicious way! Again with the Bananas!! LOL, so for us that are sensitive to bananas (it kills my gut) or just don't like them, could an avocado be substituted without a funky taste? Avocado would be an excellent substitute! You can freeze it or add ice. It gives the best creamy texture and would make this smoothie very much like a thick milkshake. You never taste avocado in smoothies. I'd add one to this recipe anyway to just get that perfect ice cream texture. Kefir is a milk or water based product. Very much like drinkable yogurt. You can get sweetened or unsweetened varieties. It should be in the dairy section. Made this for the first time. I did not have the hemp or dates and I subbed yogurt mixed with milk since I did not have kifer. It was very good even w/o the dates and temp. Hi! What's the difference between hemp hearts and hemp seeds? Can they be used interchangeably (like in your Chocolate Peanut Butter and Chocolate Almond Butter smoothies)? Thanks!